Lynair's Mill-Type cylinder series include: Series MTA Mill-Type Air, Series MTH , MHH, and M3H Mill-Type Hydraulic, Series TMA Torpedo Mill-Type Air, and TMH Torpedo Mill-Type Hydraulic. 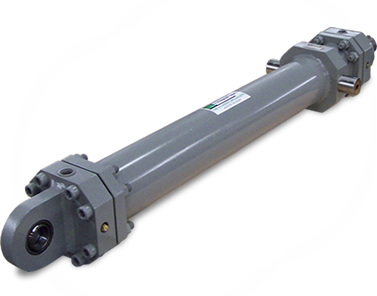 Lynair has been manufacturing our rugged Mill-Type line of Cylinders for over forty years. Our heavy duty, welded flange design has been proven in Steel Mill & Aluminum Mill applications throughout the world. In these tough environments, where downtime is not an option, Lynair has distinguished itself as the standard of the industry. Put Lynair's Mill Cylinder expertise to work for you today. Copyright © 2011 Lynair, Inc. All rights reserved.